Always sunny Marseille is the city that has both Greek and Roman origins. But the second biggest center in France is also a strategically important port on the Mediterranean Sea that has always connected Northern Africa with Europe. This has affected its ethnic identity, making it diverse, exciting and pretty appealing to the tourists from all around the globe. Nowadays, the city boasts versatility in every possible sense of the word: from the finest culinary dishes, rich cultural legacy, developed industry, amusing historical sites, etc. Consequently, Marseille has earned a right to flaunt an extraordinary tourist offer for everyone, and especially for those who like to immerse in enjoyments of any kind! A famously depicted city by the eminent French writer, Alexander Dumas, in his classic novel The Count of Monte Cristo, is also a fifth most crowded airport in the entire France and is well connected with all the major places in the South as well as with the rest of the France. The hottest season is definitely summer, both in terms of number of visitors and temperatures, but it is important to add that average temperatures rarely hit extreme values. And with plenty of sunshine and minimum precipitation, this city is an important place on the tourist map especially for luxury car rental Marseille drivers. The prime events that draw the most of the general attention are usually held during this period, and this is definitely the best time of the year for visiting it. However, it is very important to book a hotel on time due to a great interest, which is constantly present among the potential visitors. This is not a surprise, though: this city has everything that’s essential for a perfect holiday and it wisely uses all its capacities! 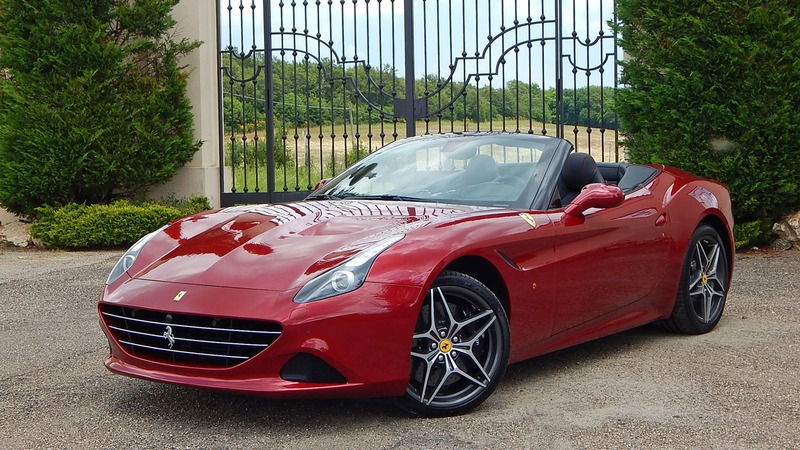 Now, having luxury car rental Marseille is a categorical imperative, and in order to bring your stay to the very next level and complement it with the finest enjoyment, it is essential to make the right pick. There are many vehicles that would be completely suitable for cruising around Marseille. Take for instance Porsche 911 Carrera S, a magnificent four-wheel creation that will offer a never-ending fun while exploring the 57 kilometers long coastline- It’s not a secret that Porsche has never lacked a state of art convertibles that are super convenient for such ventures. And precisely this model is poised with strength, unmatched design and premium comfort, always ready to prowl along the boulevards of Marseille! On the other hand, Audi Q7 is an excellent option for all SUV fans, thus it offers the excitement of the smooth and comfy ride. Its oversized and classy design is truly captivating whilst the utter coziness is guaranteed, even for a larger group of people. Q7 is also an excellent choice if you’re finishing your business tasks with your team. Maybe you are familiar with Audi’s motto, which says “Advancement through Technology” and this model is a solid proof that Audi crew devotedly adhere to their principles! And if you’re looking to rent a luxury sedan, then you should certainly consider Bentley Flying Spur. This model is ideally suitable for all those in search of classic values, at least in the terms of design. It might appear somewhat reduced, yet brilliant and timeless piece, while the performance stays on the highest level, offering a smooth and enjoyable ride. By hiring a Bentley Flying Spur, you will be ready to explore the lush nature and beaches just outside Marseille in style! In order to rent a car, you will need passport and international driving license as well as a credit card with enough funds to cover the rent. You should also keep in mind that any road traffic offence is charged with fees. It’s peculiar that Marseille, on the other hand, has some of the lowest parking fines in France – they are rarely enforced and as a consequence there are parked, or even double parked cars everywhere. It’s also good to know in advance that the center has narrow streets, one-way streets, random change of lanes and so on which can be rather tiresome. Also, it’s not safe to follow various satellite navigation systems because they’re not always 100% accurate, especially in the center itself. Still, it would be best to follow the local traffic regulations, particularly in the residential/urban areas. Still, visiting Marseille is a worthy experience, especially in a rented luxurious car. Embrace all the opportunities that can be found inside this stunning city, and we promise that you will always want to come back and do it all over again. In another superb vehicle, of course!